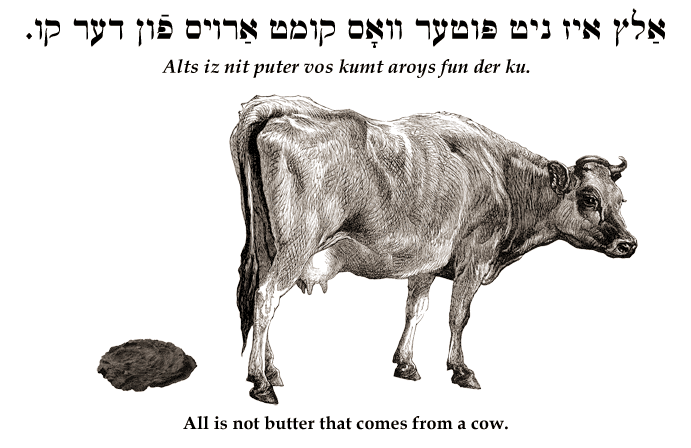 Yiddish Wit: All is not butter that comes from a cow. ‏אַלץ איז ניט פּוטער װאָס קומט אַרױס פֿון דער קו. Alts iz nit puter vos kumt aroys fun der ku.